A large number of IVF specialists don’t really know exactly how to deal with the Empty Follicle Syndrome. This is a guide for IVF doctors dealing with EFS. In any IVF clinic, vaginal egg collection is a very routine procedure and all it takes is 20 minutes to do it. Good doctors will typically get 1 egg from every mature follicle. However, a complication called the empty follicle syndrome can have a negative impact on vaginal egg collection. Empty follicles- What are these? 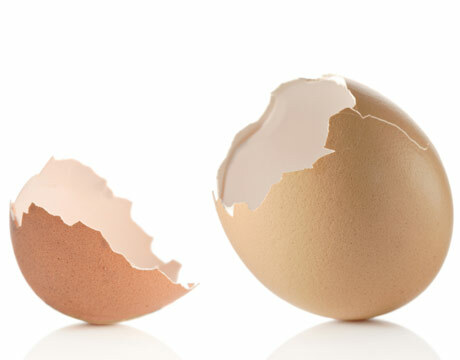 In the egg collection process, the doctor has to puncture the follicles- at times, the embryologist is unable to get any eggs at all, in the follicles. In the OR, the procedure seems like a pretty straightforward one. When the follicles are aspirated, they collapse and the follicular fluid flows freely into the test tubes. However, when the embryologist scans this fluid under the microscope, he doesn’t see any eggs at all. This occurrence is uncommon as well as unexpected; at this point, most doctors haven’t a clue as to what they should be doing, as they haven’t had to deal with this condition in the past. This is a medical emergency that tends to largely get managed very badly. Most doctors just blindly continue with the procedure; and once it’s done they leave the OR. Later when the embryologist reports that he hasn’t been able to get any eggs at all, they are completely fazed. Patients are completely taken aback too, when they are told that no eggs have been found. In most instances, at this point, the doctor recommends they the couple use donor eggs and in some cases, manages to coerce the patients into taking this option. In reality, this is a sign of poor medical management and doctors have to know how these crises should be managed. An ultrasound scan at this time confirms that the follicles are still intact. When we are doing the 2nd egg retrieval (this is planned 36 hours post the 2nd hCG shot , we expect to see intact follicles & also expect to retrieve eggs from each of these follicles. We repeat the blood hCG level again, to document the diagnosis & expect this to be more than 100 mIU/ml. With the use of this protocol, we are able to salvage the situation and this gives the patient a much better chance at getting pregnant.